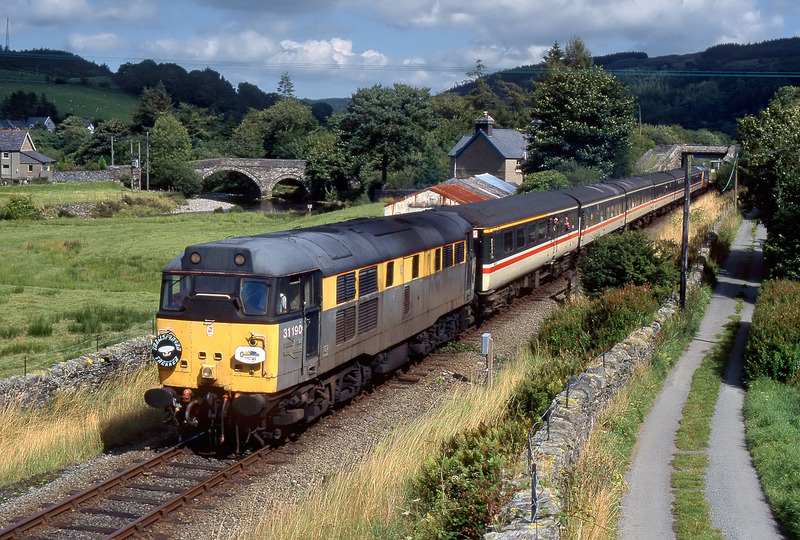 31190 passes Dolwyddelen on 27 August 1994 with the Pathfinder Tours 1Z46 07:07 York to Trawsfynydd 'Trawsfynydd Trekker' railtour. For once the weather has behaved itself and provided sunshine at the critical moment. The slightly elevated viewpoint gives an excellent view of the area, with Pont y Llan Bridge being just in the right position for a perfect picture. Dolwyddelen station can just be seen underneath the bridge, behind 31327, which is on the rear of the train.